Jenna is a Boulder, Colorado-based US consultant who focuses on executive coaching, team development, organizational culture change, and conflict resolution. In 1997, she graduated with honors from Harvard Law School. Five years later, she returned to school for a masters in Jungian psychology. 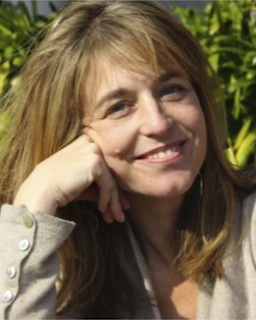 She is a registered psychotherapist in Colorado, and has studied coaching at Newfield Network. As a leadership development consultant, Jenna has worked with a variety of clients in the U.S. and internationally, including Google, Yahoo!, Microsoft, and Boston Consulting Group. Outside of work, she enjoys being in the mountains, a rigorous yoga practice, and time with her two-year-old daughter, Serafina. I used to feel torn between two worlds. I became a lawyer because logic, rigor and achievement were and continue to be core values of mine. But as a lawyer, I craved deeper conversations, better relationships, and a soul fulfilling sense of meaning and purpose. My work now straddles these two worlds, as I help individuals and organizations create exceptional results from a ground of connectedness and meaning. Life is uncertain. Maybe you get what you want, maybe you don’t. Maybe you achieve something great, or maybe not. At the end of our lives, the interesting question is not, “Did Life give me what I wanted?” But rather, “Did I dare to want with all my heart? To do my best to create something extraordinary? Did I do it all in a way that makes me proud of who I was in the process?” To say yes to those questions, that is the good life.